Set in a dystopian future, the story centres around massively successful Gladiator-esque game show The Tournament and its mega-star Roxanne Payne. Detective Tom Barlow is assigned to keep Roxanne alive when attempts are made on her life. However, he hadn't anticipated falling in love with her. Roxanne dreams of breaking free from the exploitative grasp of The Tournament and plans a way to do it with Tom's help. But who can she really trust in a world where your best friend can also be your worst enemy? 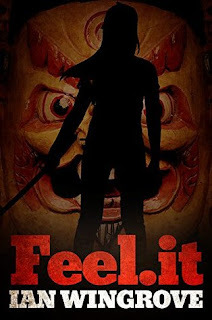 The characters in Feel.it are extremely self-centred, conniving and cutthroat. I found it difficult to empathise but I have to admire how skillfully developed and brought to life they were. Everyone seemed to be sleeping with each other and when they weren't doing that they were double-crossing and back-stabbing! I struggled with this book at times due mainly to an overflowing cast list and, as mentioned previously, a lack of empathy. However, the writing was faultless and the plot trotted along at a good pace. My thanks to author Ian Wingrove for providing a copy of this book. Roxanne Payne is the star of the Tournament, a game show that allows its audience of millions to feel what the contestants feel. Only Roxanne doesn’t feel much since the teenage trauma of her mother’s suicide, which is what makes her the Queen of Pain. 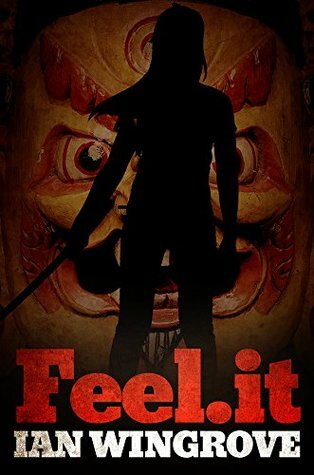 Retired Met police detective, Tom Barlow, is hired to keep her alive when death threats turn real, and in the process, Roxanne becomes his deadly obsession. But is he willing to risk everything to keep her alive? Set in a dystopian near future, Tom Barlow’s life is split apart as he tracks killers, protects the woman he loves and re-discovers the man he used to be. Across eighteen days – in a parallel story to the one depicted in Dead Poor – Tom’s life becomes entwined with that of Alexandria (Lex) de Montford, in a world of deceit, double-cross and death. Is she angel or demon? Is Tom all that he pretends to be? And will Roxanne find freedom or death as she approaches the final show?